Johnny Depp's latest movie, "Alice Through the Looking Glass," got off to a bad start. 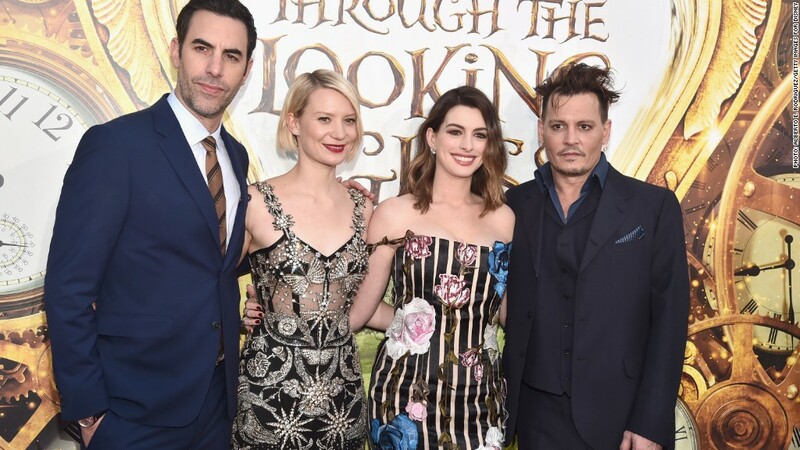 The film opened to $28 million domestically over the weekend, despite a cast that includes Depp, Anne Hathaway and Mia Wasikowska. But the film, which has a $170 million budget, failed to impress critics or moviegoers. It has a 30% score on the review site Rotten Tomatoes. The box office disappointment comes at a tumultuous time for Depp. On Friday, A Los Angeles judge ordered the actor to stay away from his estranged wife, Amber Heard, who claimed he has been abusive toward her. The couple married in February 2015. Heard filed for divorce last week. The box office totals of Depp's new movie are a far cry from the success of Tim Burton's "Alice in Wonderland," the film's 2010 prequel. That movie shattered several box office records, capitalizing on the growing popularity of 3-D films at the time. It opened to $116 million in the U.S., topping "Avatar" and setting a record for the debut of a 3-D feature. Burton, who directed the 2010 film, was only involved as a producer this time around, with James Bobin taking over as the director. Several of Depp's recent movies flopped during the opening weekends. Crime thriller "Black Mass" made $22.6 million, while "Transcendence," in which Depp plays a controversial scientist, opened to $10.8 million. The 2015 action comedy "Mortdecai" was a real box office bomb, opening to just $4.2 million.